What a surprise! Heather Jacks at Sicilia Through Images has bestowed a "Sunshine Award" on this blog - and living in Sicily that woman knows a thing or two about sunshine! Thank you so much! Go check out her wonderful images of the region on her blog. Share the love and link to the person whom you received this award. So, here are my own 12 nominees. 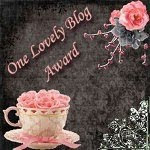 Please visit this eclectic round up of great blogs! What a wonderful honor! Thank you SO much! I like the idea of a Sunshine Award! Well this is a nice surprise. Thank you very much for the mention and kind thoughts. I will try to honor others in the coming days. Thank you SO much! Living in the Sunshine State makes me that much more appreciative of this Sunshine Award. 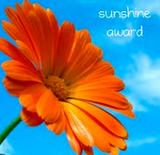 I will post and spread the Sunshine Award around very shortly. Thanks very much. It's such a lovely award. I will do my best to spread it around. thank you for the award, I appreciate it. Goodness, thank you. This is my first award, or tag, or whatwver it is called. I like your blog too!